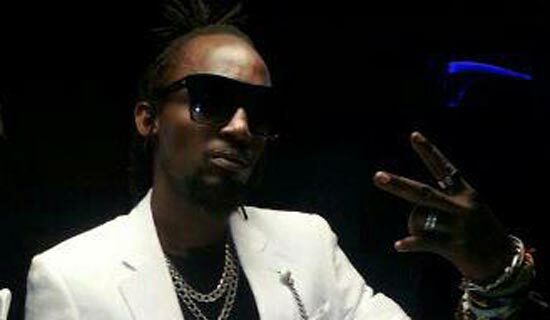 Pamela Musiimire, the woman, said to have been in the company of singer Mowzey Radio on Monday when he was involved in a fight at De Bar, a hangout in Entebbe, has denied rumors making rounds on social media that she is a girlfriend to the singer. While talking to Sqoop at Kasenyi, Musiimire said she works as security guard at the De Bar, where she has been employed for some time and is only a friend to Radio whom she has known for a long time. “It’s not true that am Radio’s girlfriend. I have known him for a long time ever since I helped him settle some fracas he had run into while in Entebbe and since then he refers to me as ‘sister’. 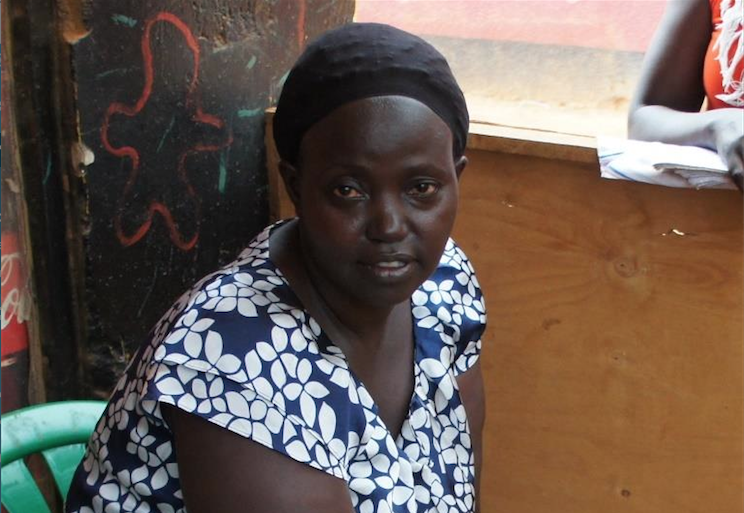 Even when you check his phone, my contact is saved as sister Entebbe,” she said. Musiimire said Radio was a brother with whom they casually chat whenever he passes by the bar, “He is very young compared to me. It is impossible for me to date him but because he is a celebrity. People always find a way of mixing up words when it comes to such situations,” she said. She said that on Monday, Radio called to tell her he was coming to Entebbe after visiting his construction site. Radio asked her to meet him at De Bar which is owned by the now imprisoned George Egesa, a brother in law to singer Mowzey Radio. “Radio came to the bar in the company of producer Washington and a friend of theirs, Egesa (George) the manager and Hassan (Muwonge) the supervisor also joined us and everyone was having fun” she said. Pamela adds that Egesa ordered a waitress to bring Radio a bottle of Black label but radio poured it. This annoyed Egesa prompting him to push the table with drinks aside. “When George stood up, producer Washington grabbed him thinking they were going to fight, and I grabbed Radio to lead him out of the bar since both of them had turned rowdy. As we were going out, some other guy came out of nowhere, lifted Radio up and threw him to the ground and he lost consciousness,” she narrated. Pamela says they took Radio to Emmanuel hospital Katabi, which referred him to Nsambya hospital after which the singer was referred to Case Hospital. Pamela, however, says she doesn’t know the man’s name but could identify him if she saw him, since he is a regular at De Bar and is known to Mr George Egesa and the Supervisor Mr Hassan Muwonge. 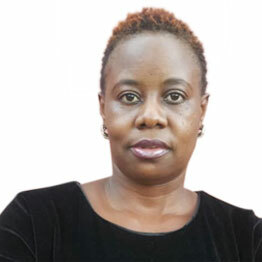 She also disputes any involvement of the second suspect Mr Xavier Rukere who is in police custody along with the De Bar own Mr George Egesa, calling him a simple by-stander who was at the bar. 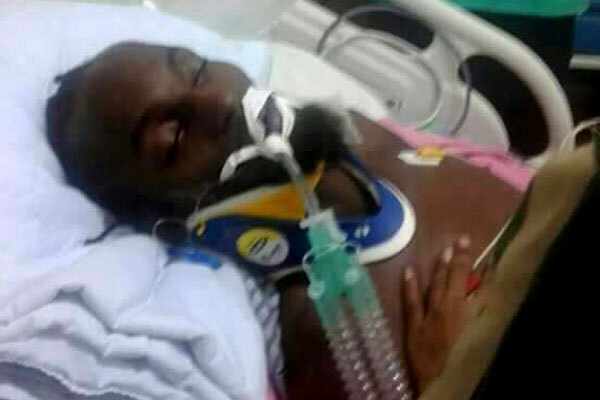 Pamela visited radio who is still admitted at Case hospital in Kampala said that he’s condition has improved from when they first took him to hospital.